A couple of weeks ago, I was a Cut Out + Keep DIY Superstar. Cut Out + Keep is the online community to make and share step-by-step craft tutorials. 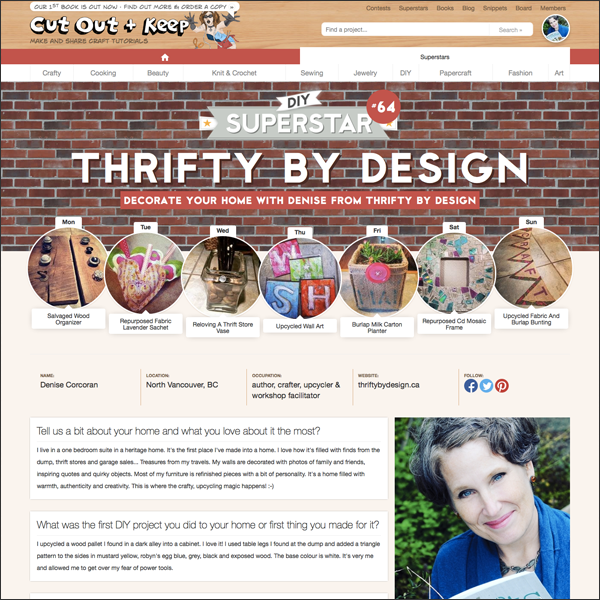 The site hosts over 50,000 amazing projects for every type of craft from over 100,000 crafters all around the world! So needless to say I was thrilled to be a featured DIY-er. When you're the DIY Superstar for the week, each day one of your projects is posted. DIY #1 was my easy peasy Salvaged Wood Organizer. The superstar gig includes an interview along with links to all your online channels. 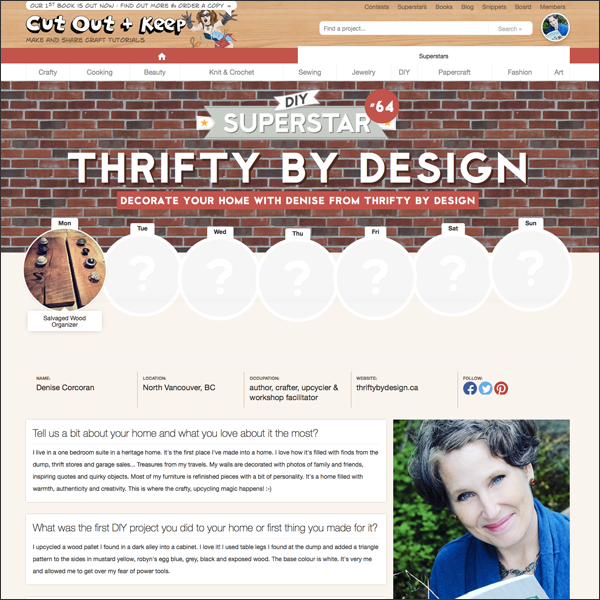 Find the interview at www.cutoutandkeep.net/superstars/thrifty-by-design. Here's my full week of projects - DIYs #1 to #7. Such a thrill to work with the lovely Cat Morley of Cut Out + Keep. 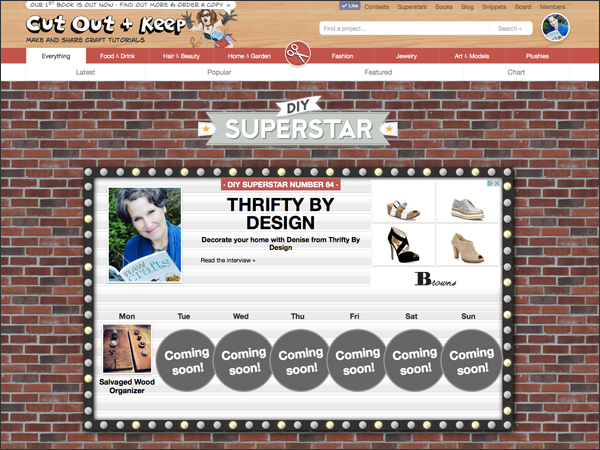 For all my projects plus future posts, find me at www.cutoutandkeep.net/users/thriftybydesign. Next up is a feature on my craft space... This morning I'm taking photos of where the craft, upcycling magic happens. This will be a feature on another site Cat manages, Look At My Room. Stay tuned for more info!